On Saturday, February 3rd, the market’s newest resident, Toby’s Estate Coffee will team up with fellow TSQ MKT vendor, ice cream purveyors Ice & Vice to celebrate the sweetest morning of the year, featuring specialty menu items, a photobooth, and giveaways. Treat yourself to a scoop of Ice & Vice ice cream along with your morning brew—the first 10 customers to stop by the pop-up café on the 42nd - 43rd Street Broadway Pedestrian Plaza will receive a free scoop of Ice & Vice’s signature flavor, 9AM (Vietnamese Coffee and Donut Truffle), which has been uniquely crafted for this occasion using coffee beans from Toby’s Estate. Toby’s will also be serving up specialty drinks like affogatos, cafe au laits, cafe con leches -- incorporating Ice & Vice’s ‘scream for a decadent breakfast boost. Be sure to stop by the TSQ MKT photobooth and snap a fun photo as well! 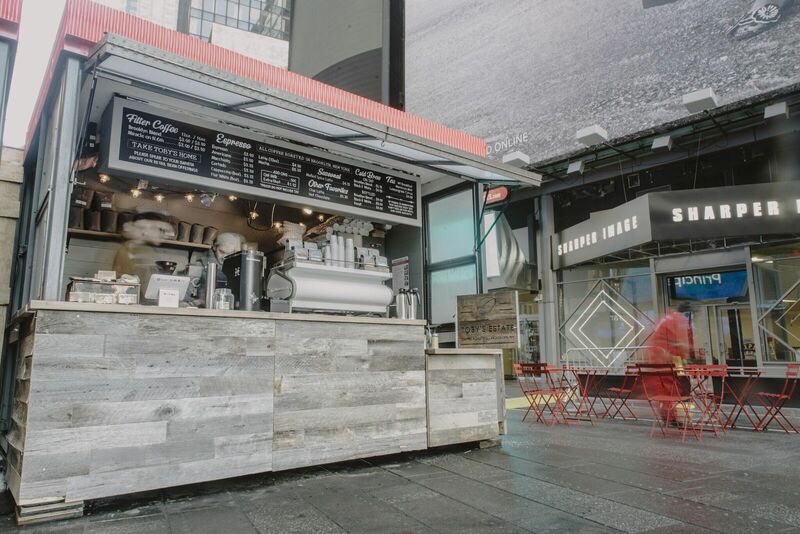 The pop-up café will set up shop on the Broadway pedestrian plaza between 42nd-43rd streets and will be serving up Ice Cream For Breakfast specials all day long. Toby’s opens at 7am and Ice & Vice will start scooping at 10am. In addition to specialty offerings, 5% of all sales from the day will go to the Robin Hood Foundation as part of the charitable I Scream! ice cream kiosk for which Ice & Vice is the resident ice cream.